Crystal Car Wash was more than just a car wash but not many people knew that. The owner wanted to bring in new business from online searchers looking for auto detailing, opti-coat and remote starters. Considering the car wash is off a side road the owner did not enjoy the benefit from being on a busy highway but we both knew that a custom built eCommerce site and a smart digital marketing campaign would turn the tables. Built a comprehensive online presence in which detailing and remote starters are the focus. 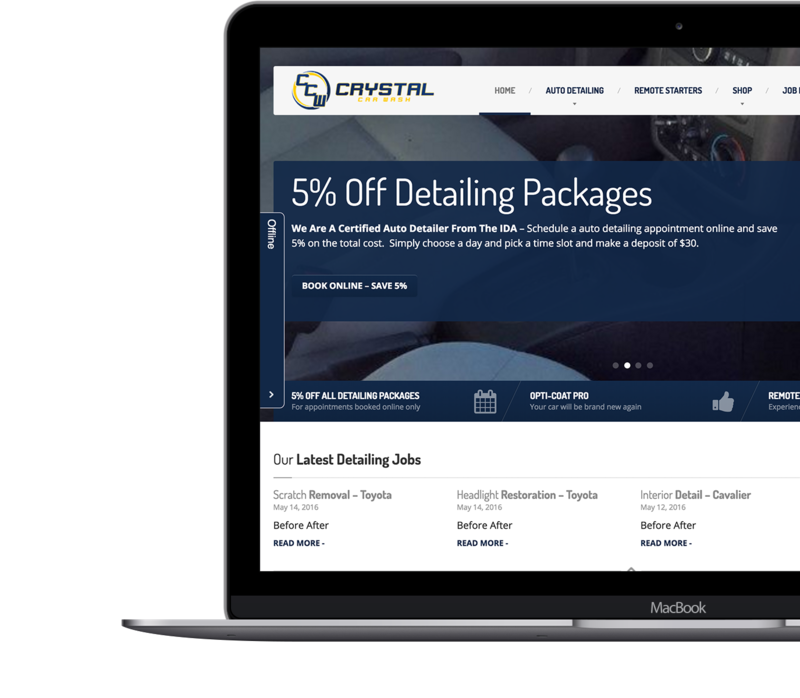 The owner is now picking up new business from online searchers who may have never of thought or heard of crystal car wash when looking for remote starters or auto detailing appointments. I built an online booking system which the owners controls himself which is integrated into his phone, his store computer and even into his Google Calendar. 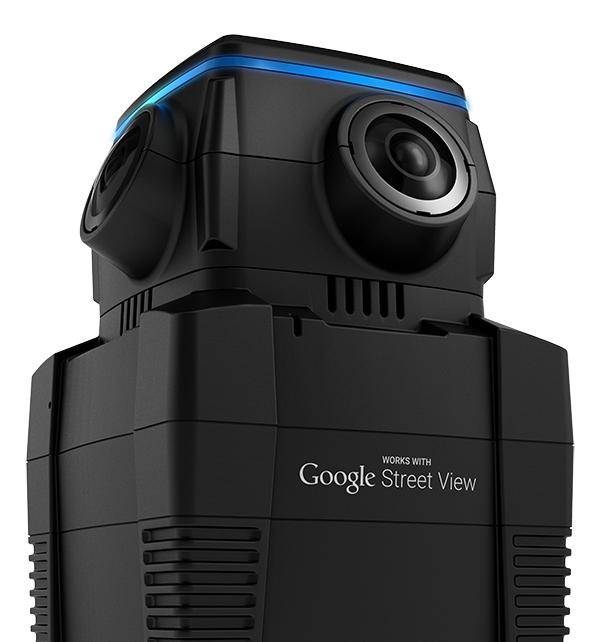 A virtual tour of any business makes it stand out in search results on Google. Apart from showing up on Google.com, a business with a virtual tour added to their Google Business place can stand out on maps.google.com and the insanely popular Google Maps app. Doing a virtual tour for Crystal Car Wash needed a bit of brain storming before executing. I could have been in the car throughout my commute through the car wash but I knew that simply won’t look good and it also kinda goes against Google’s policies for the virtual tours. As usually, I prevailed and configured the tripod perfectly inside the car and I took the photo spheres for the virtual tour while walking along side the car. The owner and I agree, it came out great, for a car wash. I knew it was time to focus on digital marketing but there was so much to consider. Brian helped tremendously! The website and online campaigns we worked on have increased call volume for details and I’m getting business from areas which I usually never gotten customers from.